This prestigious room is the second largest room of the conference center. 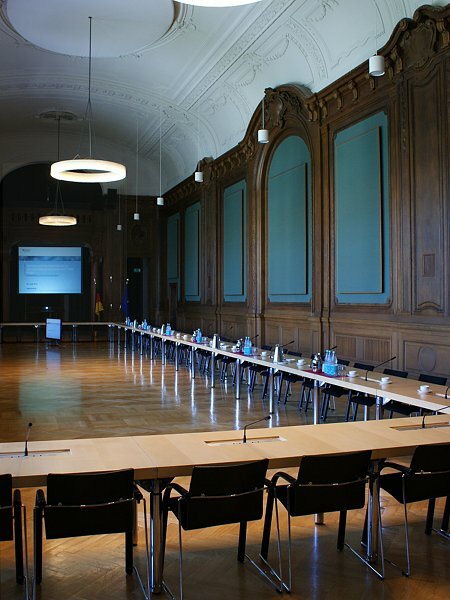 Talks and presentations take place here. Please note that this room is used by another organization on Friday 19/Oct/2012. You are kindly asked not to disturb that event.